This parts set includes all the shaped parts to build a set of 50 and 60" floats to suit many of Hostetler design, such as the J3 Cub, Super Cub and the new DH Beaver in both 20% and 22% versions. Includes plans and laser cut parts - just add strip and covering. Choose size required from menu below. 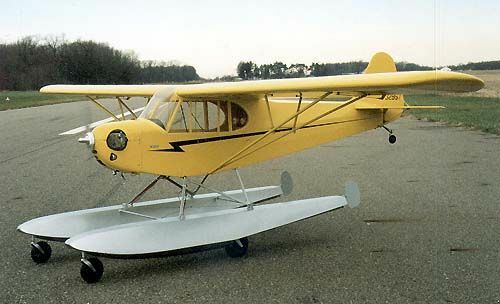 J3 Cub and 22% DH Beaver use 60 inch floats, 20% DH Beaver uses 50 inch float set. Retract units for the floats are available through Century Jets.